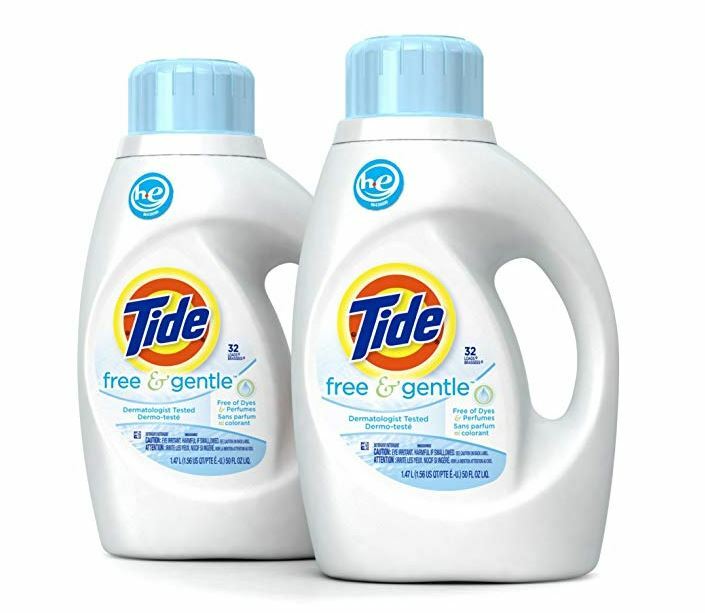 Get this Tide Free HE Liquid Laundry Detergent 50 oz. 2-Pack for just $10.48 when you clip the $2 off coupon (Retail $18). -It's made with no dyes or perfumes and is dermatologist tested to provide your fabrics with a great clean that's gentle on your skin. -Tide Free & Gentle will work great on heavily soiled clothes.